-Self-sterilising feature-3 minutes in the microwave: no need for a steriliser. -80% less colic due to the ventilation holes in the base, which ensures babies don't swallow any air. 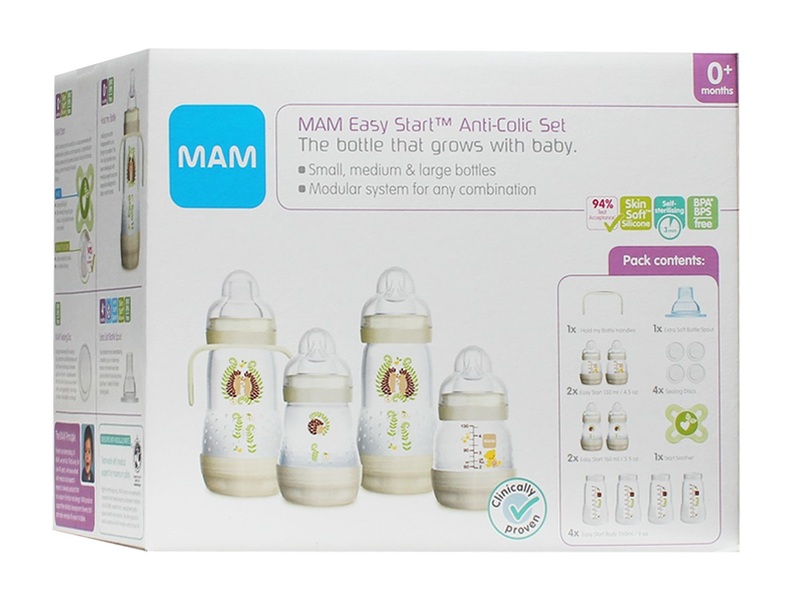 -94% of babies accept the Mam silk teat. -Complete 15-piece bottle starter set.